VO2 max is the maximum oxygen intake measured during increased physical activity. This value indicates health of person’s heart and lungs. VO2 max is expressed in liter of oxygen per one minute. When it comes to professional athletes, it can also be expressed in milliliters of oxygen per kilogram of mass per minute. The V stands for volume, O2 for oxygen and max for maximum. As you can see, the acronym is pretty much self-explanatory. VO2 max is mostly measured in clinical environment. A patient steps on a treadmill or ergometer and starts moving. The intensity of the exercise increases progressively until the oxygen intake stops increasing. What we observe are ventilation and the concentration of oxygen and carbon dioxide in the exhaled air. The average value of VO2 max for males is 35–40 mL/(kg·min) and for females 27–31 mL/(kg·min). This can vary if a patient is a professional athlete. If you are fitness maniac or enthusiastic runner, you are probably familiar with VO2 max. Basically, the bigger the number, the better your body delivers oxygen to the organs. However, this is not the only factor that impacts the speed of your running. Your fitness tracker can also give you an approximate value of your VO2 Max. Despite not being completely accurate, it can serve as a starting point for planing your further workouts. 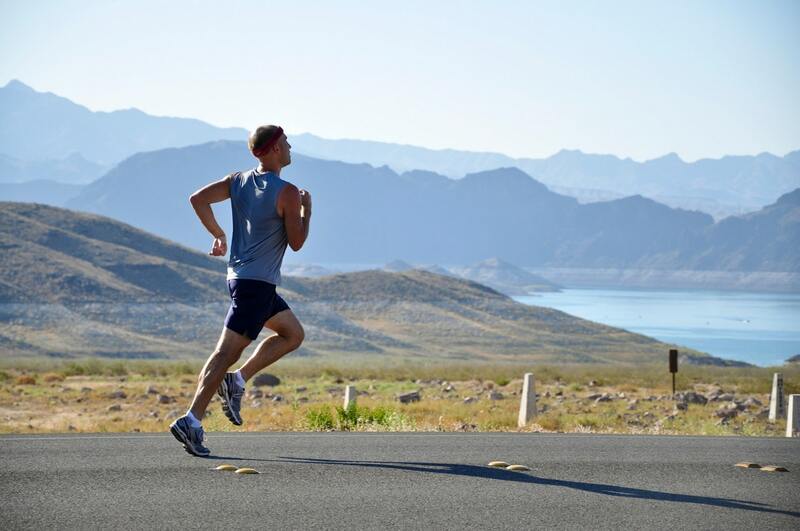 VO2 max is important, especially if you are a long-distance runner. And if you would like to improve your VO2 max, you’re in luck, for of course you can do this, however you need to understand which factors influence your VO2 max. Paradoxically, all these factors are both genetically predetermined AND can be improved by training. The best type of exercise to improve your VO2 max is interval training; which means, try running for 30 seconds at your fastest pace, and then 30 seconds jog. Repeat the cycle 12 to 20 times. When you get used to this exercise, increase the intervals to 60 seconds. You can also run up the hill for two minutes and slowly jog down. Repeat the cycle four to ten times. If you do not have a hill in your neighborhood, do not despair, you can always use a treadmill. VO2 max is the maximal oxygen intake during physical activity. It is calculated by measuring the amount of oxygen and carbon monoxide while the patient is running on a treadmill. It can be improved by exercising (interval training), but it is also genetically predetermined. Are you Suffering from Chronic Body Ache?